House guests, a way to make them comfortable.Its not easy to host guests, and its not easy to be a house guests, here are some ideas to make them feel welcome in your home. 5. Anticipate your guests needs. I'm not saying suddenly become clairvoyant and read their minds. But think about what they might need while at your home. I like to keep a basket with toiletries (extra toothbrushes, lotion, aspirin), a few snacks, and a bottle of water or two in the guest room (I also throw in other little things, like lint rollers, for "just in case" situations). What a relief it will be for your guests when they can turn to that basket for a forgotten necessity after a long day of travel! Another helpful trick - leave a basket of blankets, quilts or pillows available for your guests in case of a chilly night. These things make all the different, I promise you. 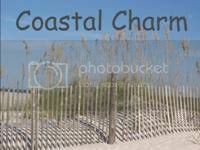 Gather some maps from the area for your out of town guests. It is a known fact that children do much better in school and academics if they have a peaceful emotional stable home life. Also, a structured day at school, and after school when they get home, they have about five or six hours before bed. Research backs the theory that if their home life is organized and makes them feel at peace without stress, they will perform better academic. Around blog land it seems like everyone is into organizing their spaces in January 2011. 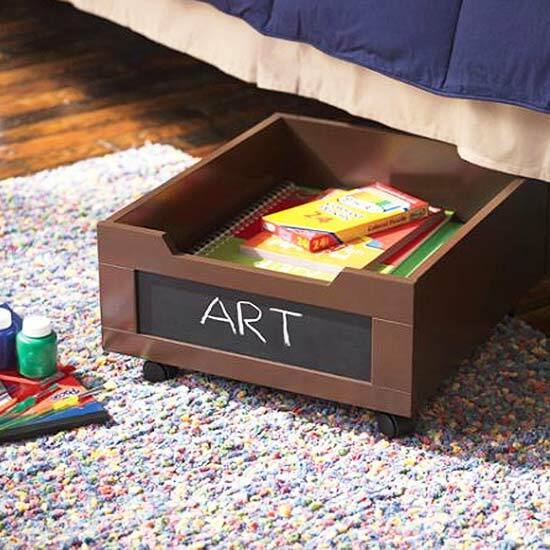 This is so important for kids, one of the dangers of "too organized" I call these "fanatics" people that get upset when their rugs get dirty or furniture scratched. One way to avoid this is to have one room where kids are able to paint, play, make a mess for their "creative play time" without worries of the "mess". 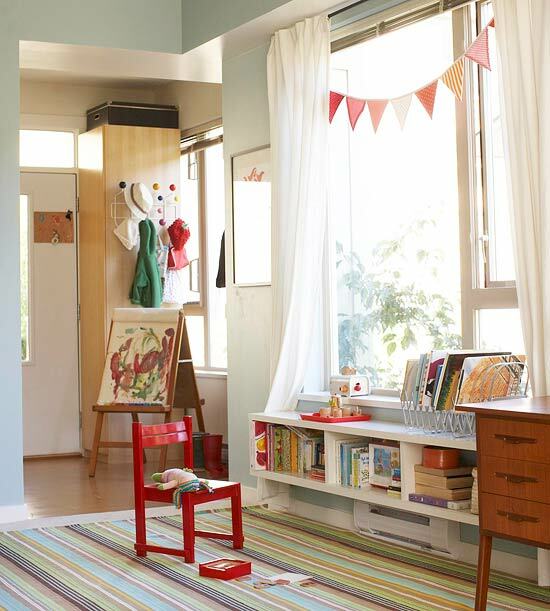 This room is for them to create, play, draw, paint, do crafts. Parents can replace rugs, and furniture, however, they cannot replace the consequences of children who don't have the opportunity for "creative, imaginative play time after school hours"
I don't agree with kids being in a car after school for hours from lessons to games. I have neighbors who even eat take out in the car every night. After school is a very important time for children. They spent more than 6 hours in a tight rigourous environment, they are "on" for 6 hours this is a lot for small children. that you want to give away. 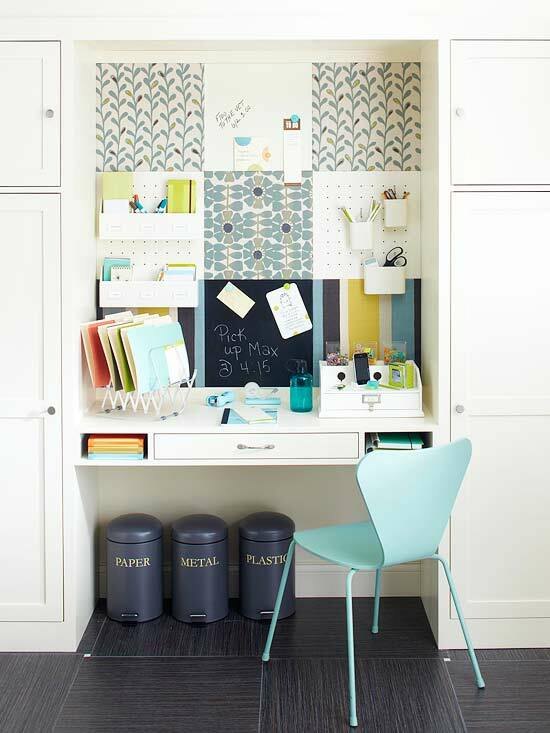 .For most of us who cannot afford this little luxury, here are some ideas how to organize ourselves FREE of charge, IT WILL COST TIME. First: Have a small goal each day, instead of of trying to do it all at once. Secondly: Gather your organizational supplies: bags, (different sizes), containers, tape, sharpies, scissors, list of charities phone numbers, calendars, timer, and big chart paper for your schedule, your favorite music, stereo. 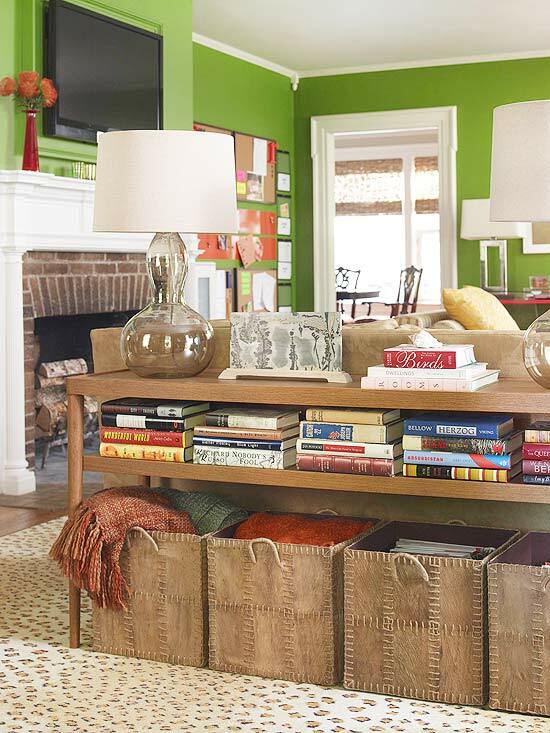 Example: Organize the clutter on top of the entrance table. You know the one that you put all the stuff when you enter your house: cell phones, school bags, keys, mail, packages, coats, mittens, scarfs, boots, groceries, and whatever else. I have a habit of going to the dollar store and get bargains for the week, then I put it on the entrance table to put away later, I'm in a rush, but it stays there for the week. Can you relate???? After you set the goal for the day, set your timer ( I love timers) can you tell I teach? Set it for 10 minutes, this means in 10 minutes, everything is put away, hang clothes, put away keys, books, school bags, mail, coupons, pencils, whatever is on the table. In 10 minutes you are done!!!!!! reward yourself with a cup of tea or coffee. Goal No.2 Set the timer for 10 minutes . 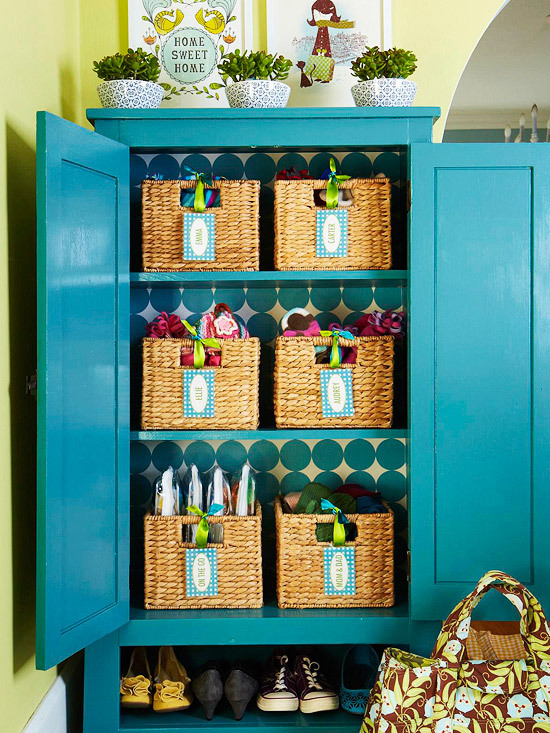 Organize one drawer from your clutter kitchen. Make sure you have a trash bag and a give away box. 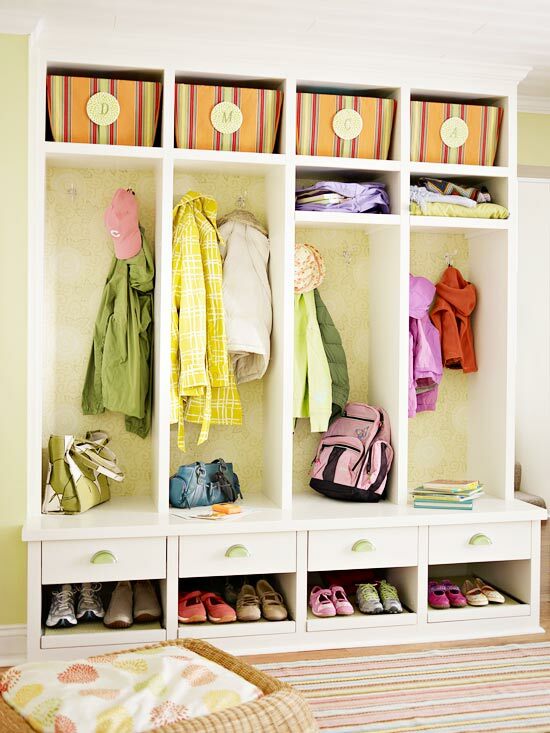 Take everything out, sort fast, and keep items that belong in the drawer, any extras give away or throw away. You hear the timer, ITS TIME, you did it!!! reward yourself, two tasks in one day is a lot. So maybe this reward is a bit bigger than your cup of tea, lit your favorite candle on, for a little while, or set two or three candles.this is up to you. REWARDS TO SELF ARE IMPORTANT. This is my style of organizing, I get a lot more done, if I set goals, and they have to be small ones at the beginning, WRITE them in a big piece of paper, check them off. You will fell GREAT when you see all of the boxes checked and done. You WORK very hard. One day I was feeling motivated and wrote 21 goals on my pad. I started like a crazy maniac, and WORK WORK WORK without stopping for five hours, it was insane, but I kept checking my boxes, when I finally finished I took a long bath, and it felt GREAT. I couldn't believe it, this included doing a task that I hate, LAUNDRY, I just hate doing it, but it must be done, I mean wash, dry, fold and PUT AWAY. It also included changing beds, I hate that too. Oh well, I hate cleaning, organizing, do you???? I'm sure you do, its more fun to just PLAY at decorating, PLAY at doing crafts, than the other chores???? Be honest, but this is living, and it is what it is. I love this so pretty and neat, I don't have this but I want it. Love this kitchen does anybody live here????? Lots of spices, very well organized and clean. 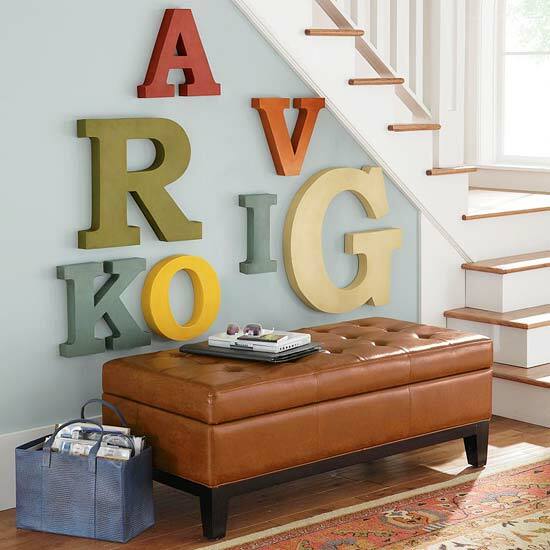 Here is this dream entrance hall, no table but I love the ottoman and the letters. 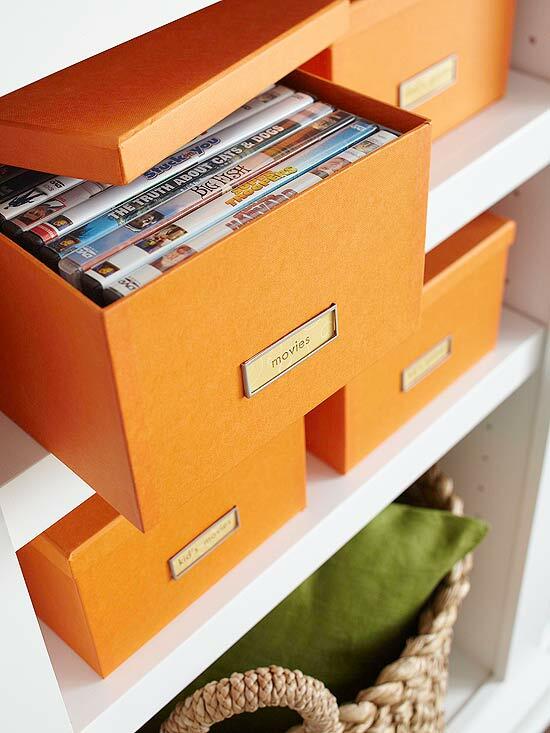 Organize the DVDs. and VHSs movies, great idea. This is a great desk for a kitchen, I love it, most of us need two or three desks. One for our kitchen, one for our crafts, and one for our jobs, business, etc. I met a girl at a craft workshop the other day, she bought two folding tables for her craft "desk" she sets them up when she does her crafts projects, then puts them away under the bed, out of the way. I thought it was a great idea. She paid $ 20.00 per table at Job Lot store or Walmart. 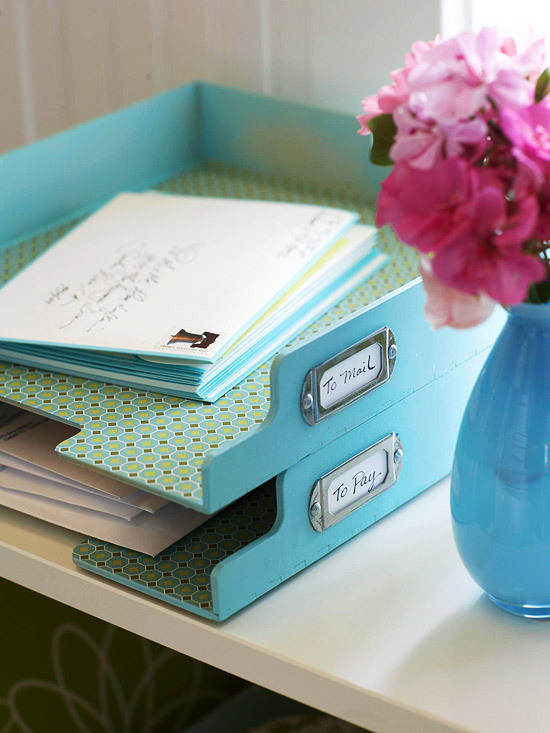 Now this one from BHG is beautiful, love the labels the color, its very very nice. This is a great ideas for all the cables, chargers, etc, use toilet paper and towel rolls, I have mine in one huge box. This is much better. 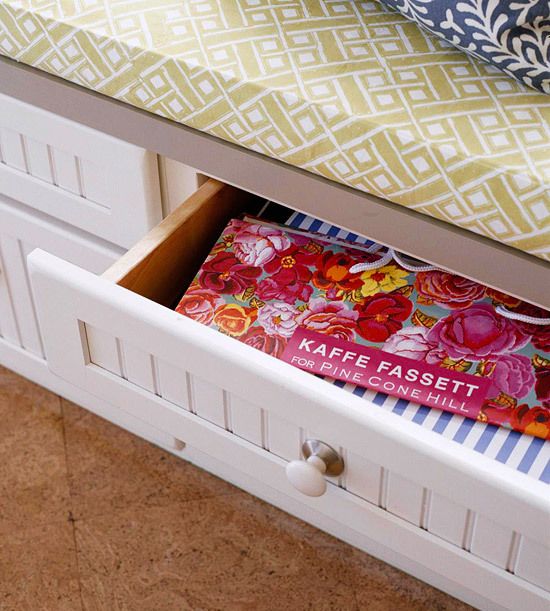 The under the bed drawers a fantastic idea for books, games and more. 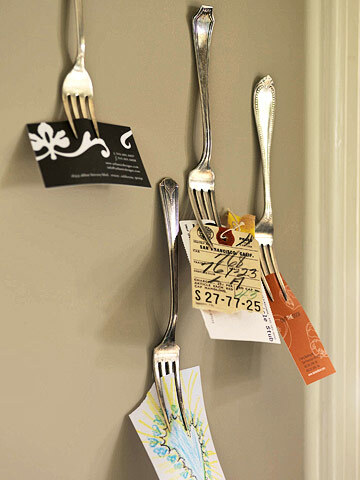 Very high style, old silverplate forks as business cards holder, tickets, laundry pick up, very very nice, love. 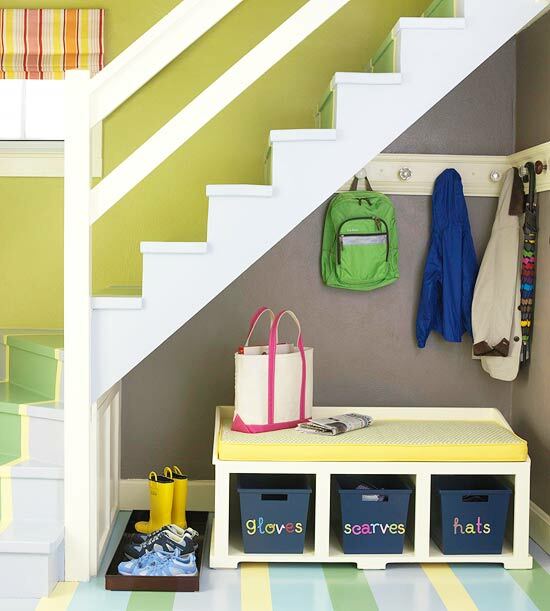 again from BHG Better Homes and Gardens. Have fun and remember ORGANIZE SOMETHING EVERYDAY, one task a day, only for 10 minutes, and you will achieve your goal faster.